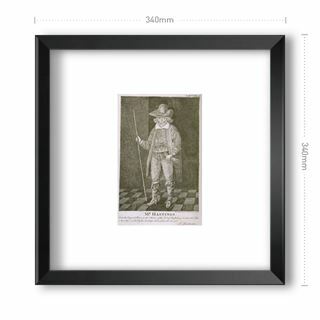 Mr Henry Hastings, (1551-1650), c 1590s ? 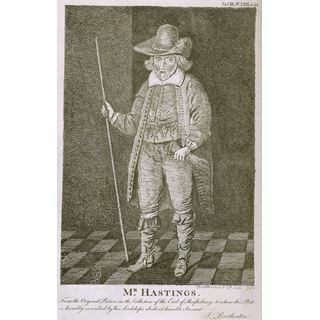 Mr Henry Hastings, shown here, was the second son of the 4th Earl of Huntingdon, George Hastings. 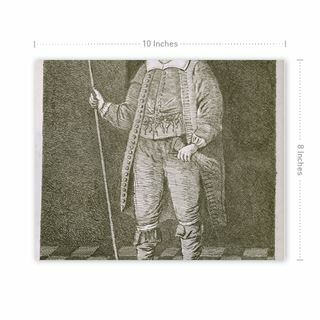 He was known for being an eccentric sportsman. He married Dorothy, the second daughter and co-heiress of Sir Frances Willoughby of Woillaton Hall, Nottingham. After Dorothy's death in 1638, he had inherited Woodlands Park near Horton in Dorsetshire and he resided there until his death. 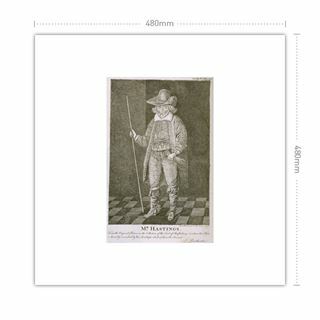 This engraving, by James Bretherton is after the English School painting (artist unknown, see http://www.christies.com/LotFinder/lot_details.aspx?intObjectID=1368691 for an image) and is engraved with the inscription: From an original picture in the collection of the Earl of Shaftesbury to whom this plate is humbly inscribed by his Lordship's obedient humble servant James Bretherton. 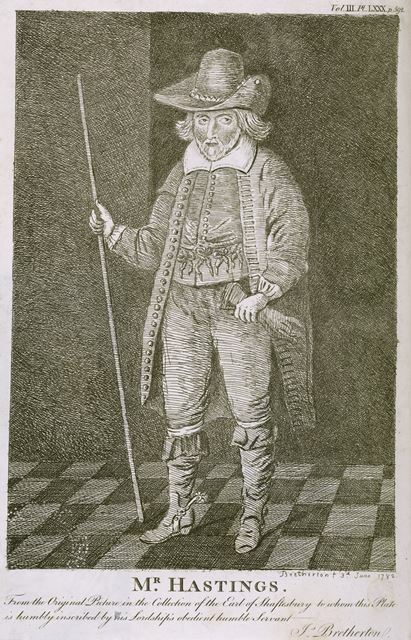 This image is one of a collection by the famous local antiquarian, Thomas Bateman, of Middleton by Youlgreave. (1821-1861). Bateman organized his collection by inserting them into a 4 volume copy of Lysons Magna Britannia, Derbyshire, creating a fascinating and unique illustrated record of the county. The purchase of the collection for Derbyshire Libraries was made possible by the generous bequest of Miss Frances Webb of Whaley Bridge, well known local historian, who died in December 2006.